Tomorrow afternoon, Monday 12th March, we will be taking part in the Sports for Schools sponsored fitness circuit event. 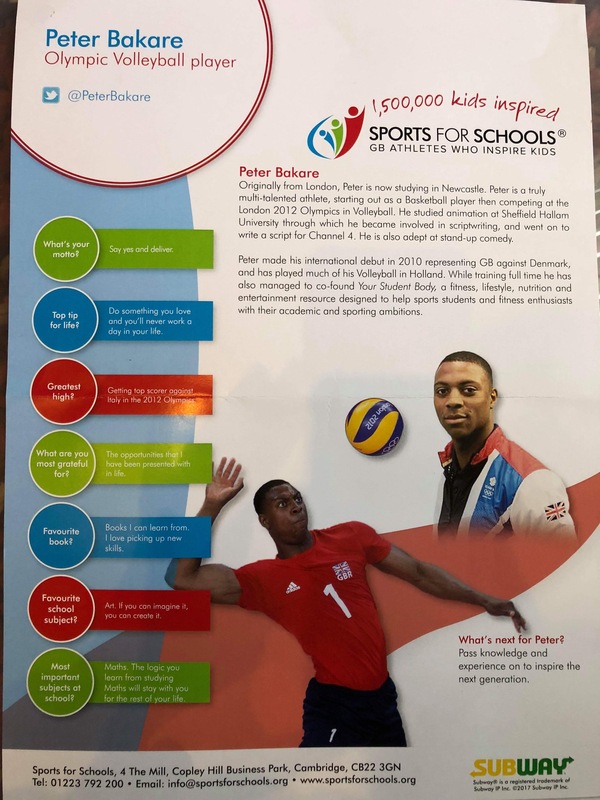 During this time, the children will meet Peter Bakare, an Olympic Volleyball Player. Please ensure that your child has a full P.E. kit (including footwear) in school tomorrow. Due to health and safety, if your child does not have appropriate clothing, they will not be able to take part. I look forward to seeing all of the children trying their best to complete each exercise for a whole minute, but most importantly, having fun!